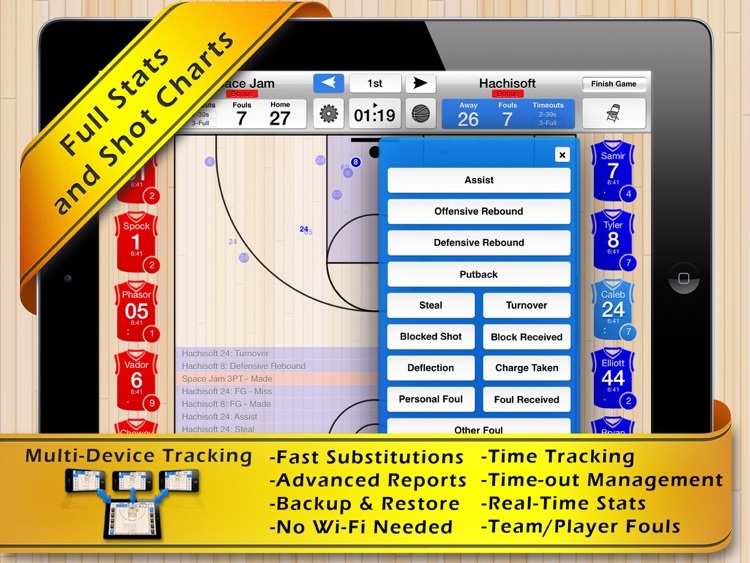 Basketball Stat Tracker takes basketball statistics to a new level. 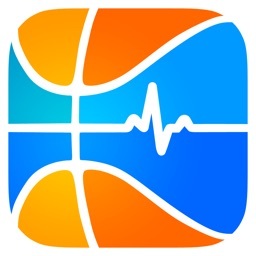 Coaches, scouts, parents, and fans can use Basketball Stat Tracker to track, review, and share statistics from fast paced games. - Our touch screen controls makes it easy to track stats. - Built-in tutorials get you up to speed quickly. - We have In-App LIVE CHAT for any questions you may have. 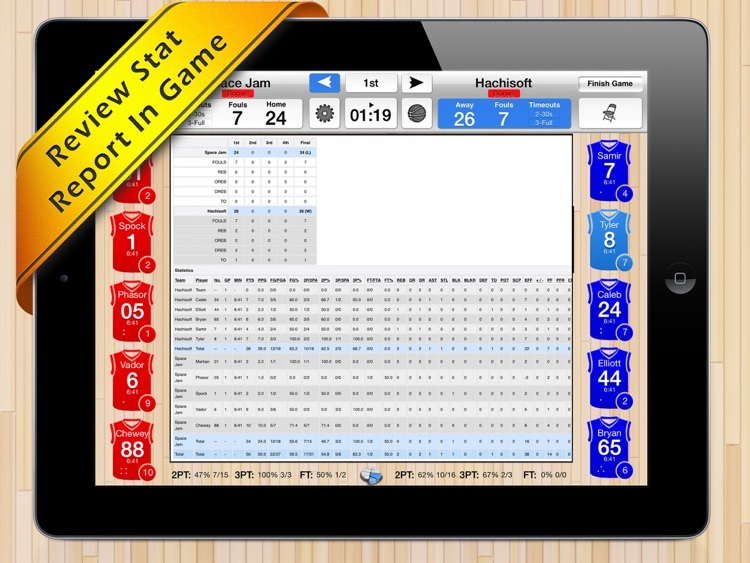 - Track the stats/shots of a single player, your team, and/or both teams. - NO LIMIT to the number of seasons, games, teams or players! 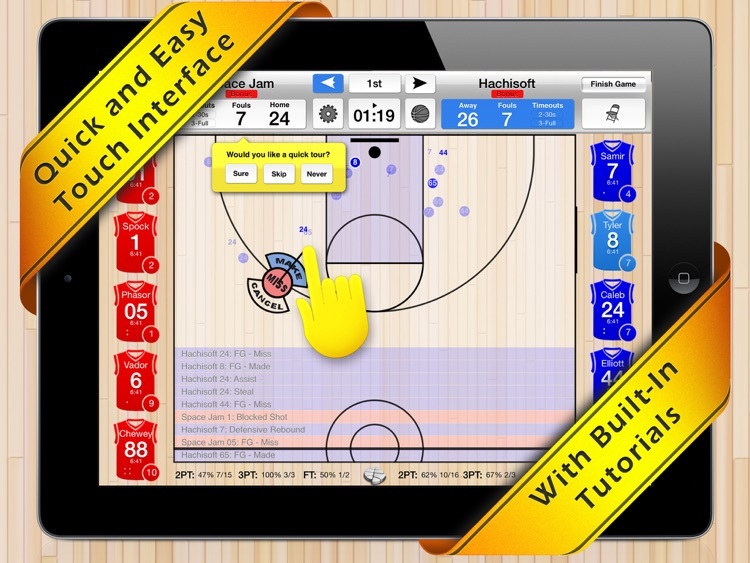 - Add makes, misses, and shot locations with an intuitive touch system. - Any mistake can be quickly undone or edited. 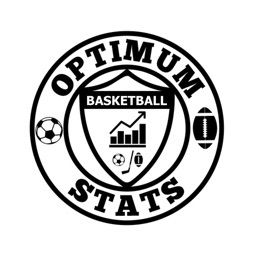 - Trackable stats: rebounds, assists, blocks, steals, deflections, turnovers, charges taken, fouls received, fouls committed, possessions, and more. 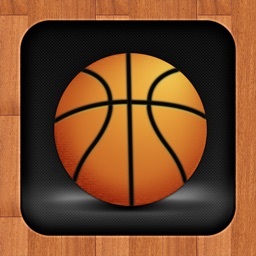 - Use our in-app clock to track game and playing time. - Substitute players quickly with two lightning-fast methods. - Go offline. No Internet connection required to track stats. - Tracking screen shows stats and percentages. - See fouls, points and playing time per player. 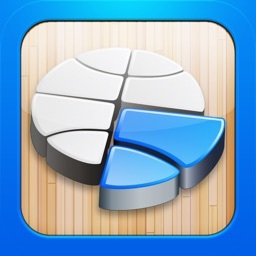 - Review and manage team fouls and timeouts. - See recent stats play-by-play. 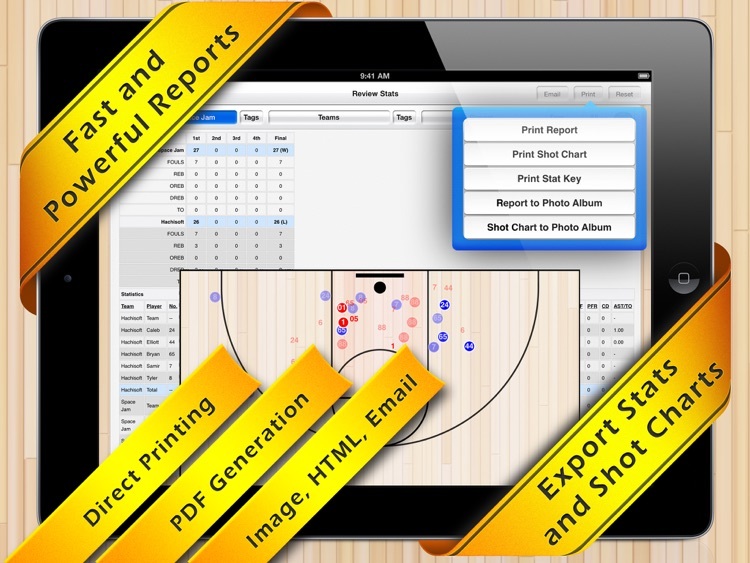 - Visualize and share the game with powerful reports. 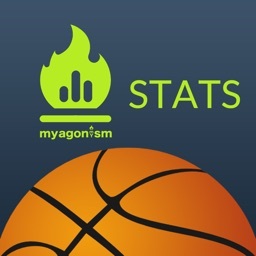 - Use TAGs to organize stats your way. - Filter data by team, game, player, period(s), and/or TAGs. - Print directly from the app. - Create and manage seasons, games, teams and players. - Stay focused. Stats are only tracked within the “Current Season”. - Easily switch between seasons to manage multiple schedules/leagues/years etc. - Start a new season from an old season. Kickstart your season from a desktop/laptop sync entire seasons up to the Stat Tracker Live environment where you can enjoy a whole host of bonus features including: Cloud backups; League, Team, Player management, advanced reporting and more! Subscriptions is not required to fully utilize this app. However, If you subscribe via iTunes payment will be charged to iTunes Account at confirmation of purchase. Subscription automatically renews unless auto-renew is turned off at least 24 hours before the end of the current period. Account will be charged for renewal within 24 hours prior to the end of the current period at the rate of the selected plan. Subscriptions and auto-renewal may be managed by going to Account settings after purchase. Includes data backup, Live play-by-play, club and team management, advanced statistics reporting, and public club page. Includes data backup, Live play-by-play, club and team management, advanced statistics, season leaders, season standings, and public league page.